An overland adventure from Johannesburg to the might Victoria Falls. 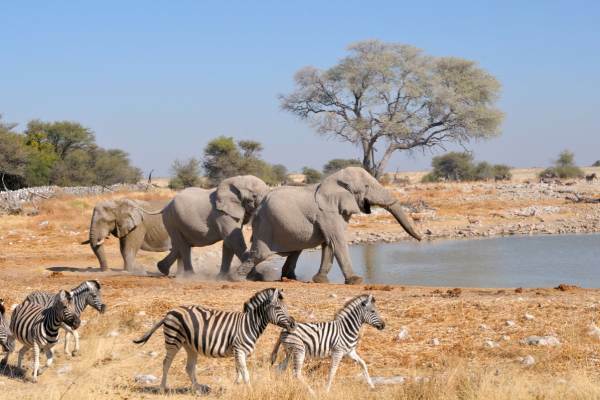 Explore amazing Botswana from the Kalahari to Bushman encounters. Visit the spectacular Okavango Delta with its waterways and incredible scenery. 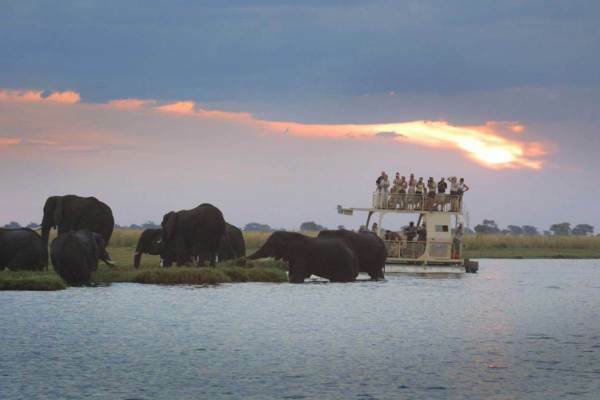 The Chobe is famous for its huge elephant population and concentration of wildlife including predators. An early morning departure from Johannesburg, as we begin our safari to Victoria Falls. 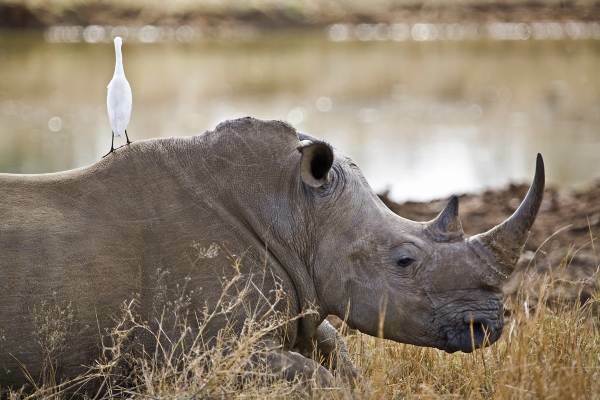 (This tour focuses on the diversity of Botswana - from semi desert of the Kalahari to the wetlands of the Okavango Delta.) We head North West to Botswana. Crossing the border we continue to the town of Kang, the gate way to the Kalahari – home of the Bushmen. We travel into the Central Kalahari. We spend the evening in the Ghanzi district, where we get an chance to encounter the indigenous San people. We have the opportunity gain interesting insights into the daily life of this nomadic tribe and about survival in the desert. We enjoy a guided walk as well as traditional storytelling and dancing. Today we leave the harshness of the Kalahari and head for Maun – a real African frontier town. The landscape changes from the harshness of the arid Kalahari to the lush Okavango Delta. We spend the afternoon relaxing (or one can enjoy a scenic flight). The guides will give a briefing to what is required as there are restrictions on luggage size. We spend the next couple of days exploring this amazing eco system. The Okavango is a maze of waterways and flood plains and home to many species of wildlife and bird life. With our local guides we spend time poling and doing nature walks. Hippos and crocodiles laze on the banks, while larger animals are found on the numerous islands. The delta is one of the last true African wilderness areas and offers a unique view of the African bush. We leave the delta and head north through the tribal areas. We cross into Namibia and spend the day travelling across the Caprivi area. This is a wildlife area and one can expect to spot animals along the road – including giraffes and elephants. We setup camp in Namibia near the Botswana border. Early morning we cross back into Botswana and set up camp on the banks of the Chobe River. 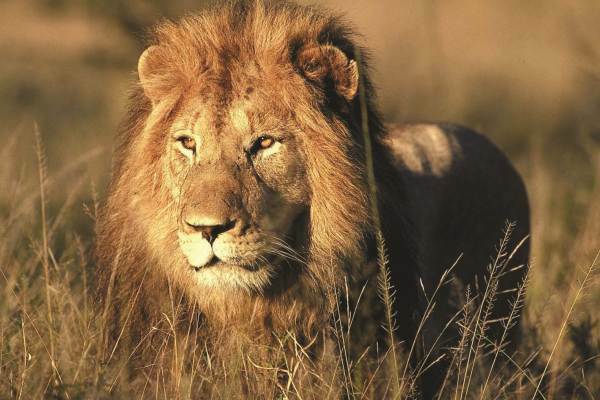 The Chobe is renowned for its huge herds of elephant and large number of predators – including lions. We spend the morning exploring the Chobe Park in open 4x4 vehicles. The late afternoon is spent cruising down the Chobe River, looking for animals coming down to river to drink. Leaving Botswana we cross into Zimbabwe and make the short trip to Victoria Falls. The mighty Victoria Falls is one of Southern Africa’s top destinations and offers stunning scenery and loads of activities. A visit to Victoria Falls National Park allows us to take in the spectacle of the Zambezi thundering over the falls. The afternoon is at your leisure and you can use the time to partake in one of the adrenaline activities – including rafting the rapids of the Zambezi. Alternatively one can spend time browsing the craft and curio markets. Our Botswana and Victoria Falls tour ends after breakfast. It is recommended that one plans for an extra day in Victoria Falls as there is much to see and do. Activity Package - R 3 590 ( Optional ) - This includes what we consider to be the key activities on this tour, A Breakdown of this payment is available from our consultants. Okavango Upgrade: There is option to upgrade the Okavango Delta section to a 2 night sleep-out experience. Please ask your consultant for full details.